Parasympathetic nerve cell bodies are readily apparent (note distinctive "fried-egg" nuclei) in this image of ciliary ganglion. 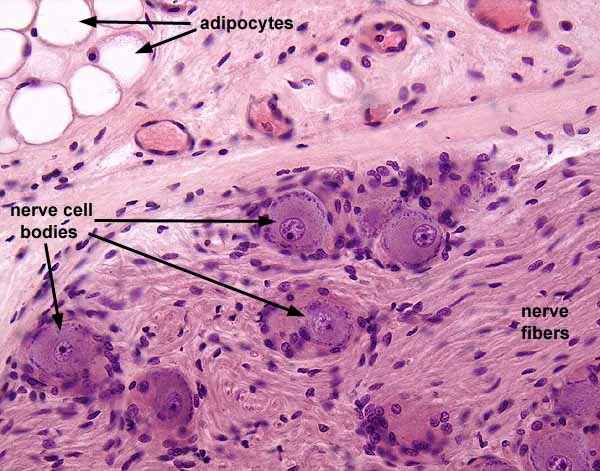 Many of the numerous small nuclei among the nerve cells and nerve fibers belong to Schwann cells and satellite cells. Click on the thumbnail at right for lower magnification.